JAMB Exam Date and Timetable for 2019/2020 UTME Released. 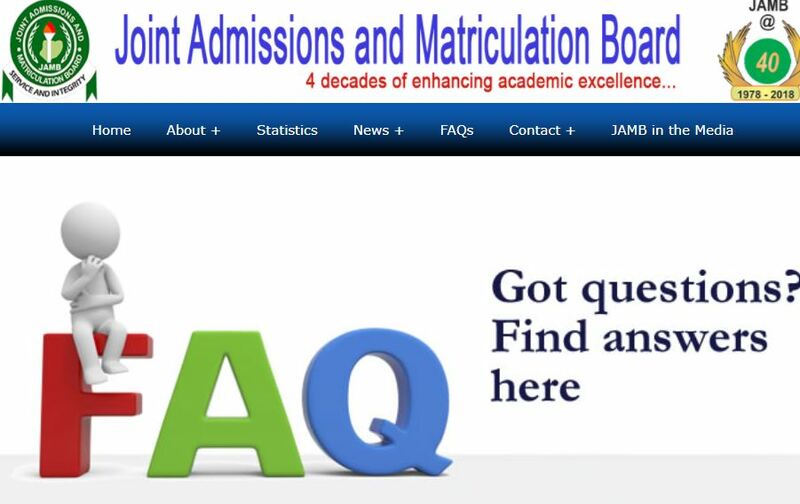 See Jamb exam date 2019 UTME available here. The management of the Joint Admissions and Matriculation Board (JAMB) has announced that this year’s Unified Tertiary Matriculation Examination (UTME) is now scheduled to commence on Thursday, 11th April, 2019. Candidates are to begin reprinting their Official Exam Slips as from Tuesday, 2nd April, 2019 to see their Venues and Time Schedule for their CBT Exam. The venue of the examination will be at any centre in the candidate’s chosen examination town(s). It is also important to note that the 2019 Registration Portal has now been re-opened till 15th March, 2019 (by midnight), for candidates, who have already created their profiles and purchased the UTME or DE ePINS. The new JAMB CBT 8-key exam method is explained as follows. All the candidates need to do is to press the letters A,B,C,D for responses (answer) to questions and keys: P = Previous question, N = Next question, S = Submit responses when candidate has finished examination and R = Reverse (do not intend to go further to submit again). The exam body has registered over 1.2million candidates for 2019 Unified Tertiary Matriculation Examination (UTME). JAMB assures candidates that necessary machinery has been put in place to ensure a hitch free CBT examination that would last for a week. The general entry requirements for admission into the First Degree, National Diploma (ND), National Innovation Diploma (NID) and Nigeria Certificate in Education (NCE) programmes are have (5) O’Level Credit passes including English Language. Details are available in the eBrochure which would be given to each Candidate at the JAMB accredited CBT centres and State-Offices.